Round top cabinet. Accepts all bills with easy pay programmable thermal ticket printer. Includes 400 tickets, locks and jackpot reset key. 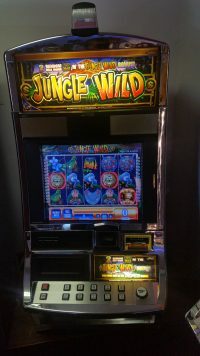 30 line machine with Stacking Wilds and Bulls Eye Bonus Free Spins with up to 4 stacking wild reels. Reel clean plug and play machine. Pays from both directions. All LED Lighted machine that will brighten any game room.